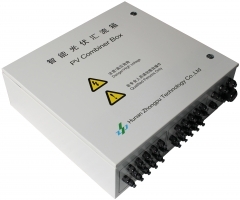 PV Combiner Box DXH06-PV16-1 is applicable for solar power grid-connection system. We have several types P.V. 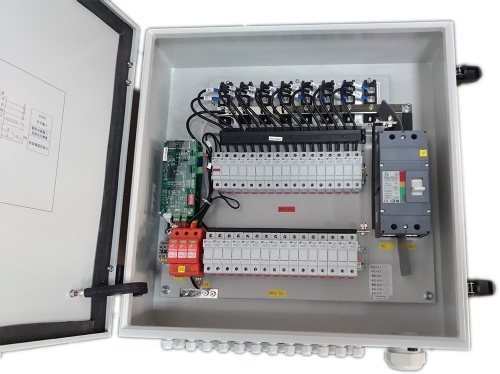 junction box to choose for you, such as 2 channels, 4 channels, 6 channels, 8 channels, 10 channels, 12 channels,, 14 channels, 16 channels and so on. 1. According to the function, it will have a standard combiner box (SAB) and an intelligent combiner box (SCB). According to different working environment, it will have polycarbonate (PC) and steel made boxes . 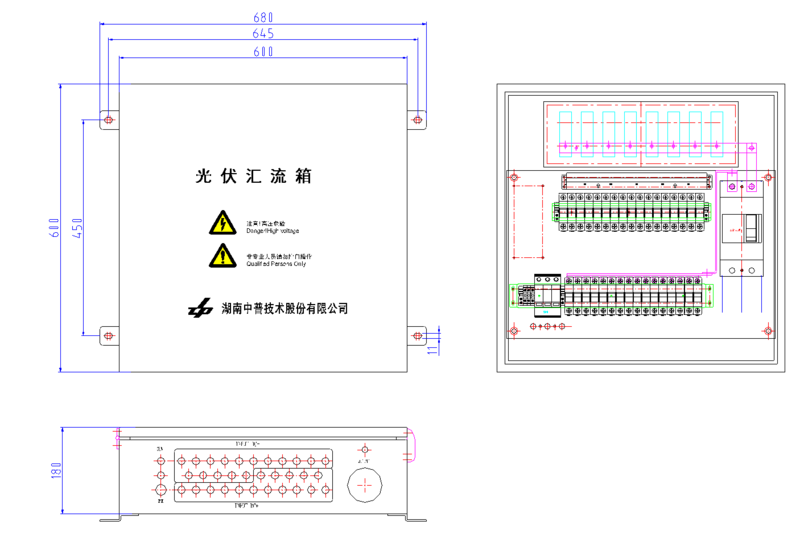 2.We choose all materials strictly on quality first principle. 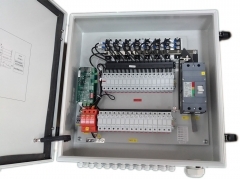 All components comply with DIN and VDE standards, and all adhere to the highest quality standards. 3. Meet outdoor installation requirements, IP66 . With anti-UV, anti-acid, anti-alkali, moisture, mildew, rodents and so on functions. 4. 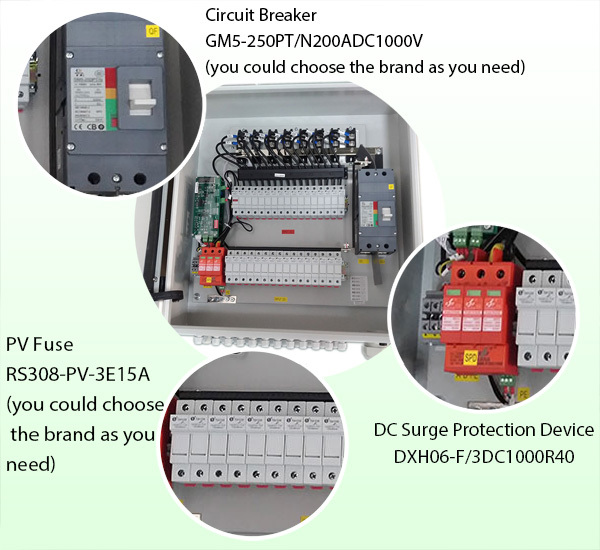 All components meet rated voltage DC1000 V requirements. 5. 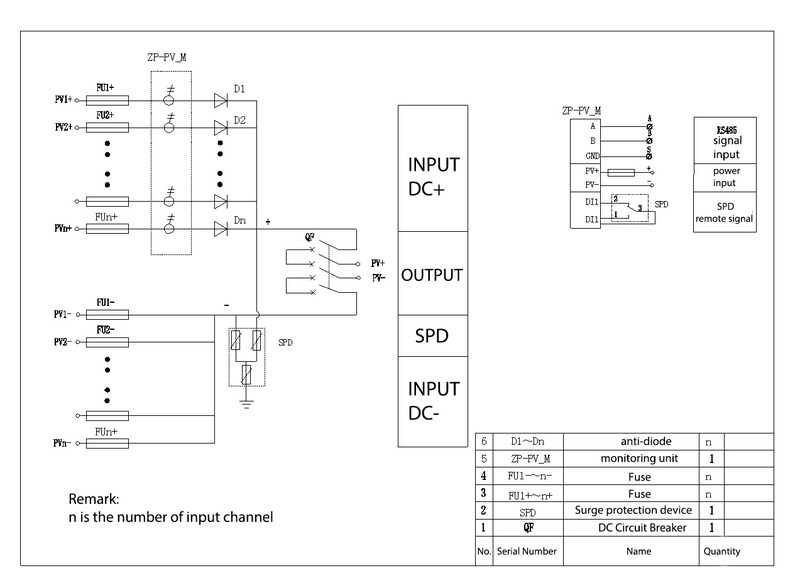 With fuses on Inputs, switches on outputs, and SPD in both poles.